Ed Cushman, who suffered from ALS, was given free tickets to Super Bowl LIII but died before he made it to the game. 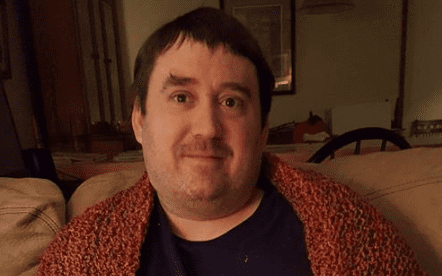 A North Carolina man who suffered from amyotrophic lateral sclerosis (ALS) was given free tickets to the Super Bowl LIII but tragically died before he made it to the stadium, according to reports. Ed Cushman, 39, was given tickets to Sunday’s game from Team Gleason, a charity named after former New Orleans Saints player Steve Gleason that cares for people diagnosed with ALS, according to its website. North Carolina’s The State reported that Cushman and his brother Rob Cushman were driving to Atlanta in a 2007 Dodge Caravan Saturday when the vehicle began “smoking underneath.” Rob Cushman pulled over on the side of I-85, just two hours outside Georgia, to inspect the vehicle. Smoke and flames began erupting from the vehicle, the report said. Rob Cushman tried to rescue his brother who was on a ventilator and in a wheelchair, but “the flames became too intense,” George authorities said. Ed Cushman was ultimately trapped inside and burned to death, WWL reported.